Made of highest-grade PVC, our rails are level-adjusted to fit perfectly and accommodate ground level changing. The top quality of our materials along with the mature design of our rails are at the highest safety performance and longevity standards. Our products are always subject to extensive resistance tests according to the most stringent standards (strength testing, UV material resistance, “automobile” safety-rig trials). Depending on resistance requirements or track layout, from lightweight up to heavy duty, our catalog features multiple rail profiles, posts, and ground footings to achieve your goals. 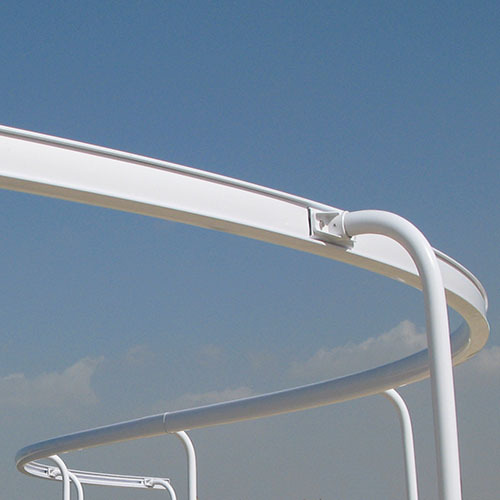 Our range of rails offers a full set of options to satisfy the multiple racetracks layout characteristics while coping with the strongest safety standards. All our products are easy to install and easy to handle. 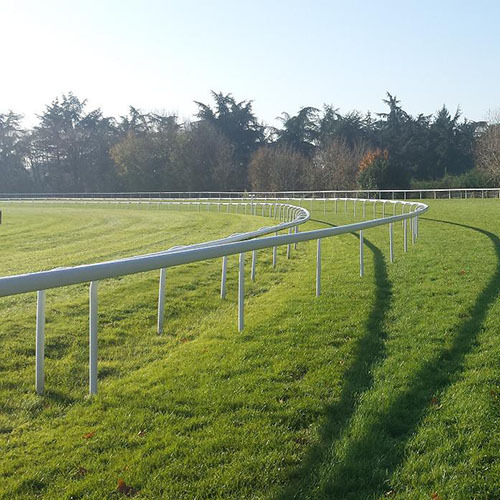 For your temporary space, school area or depending on the layout of your racecourse, we do also offer self-stable rails. Acting as a “Safety Bumper”, our exclusive Reinforced Rails propose the highest safety level in case of a collision by the horse or the jockey. 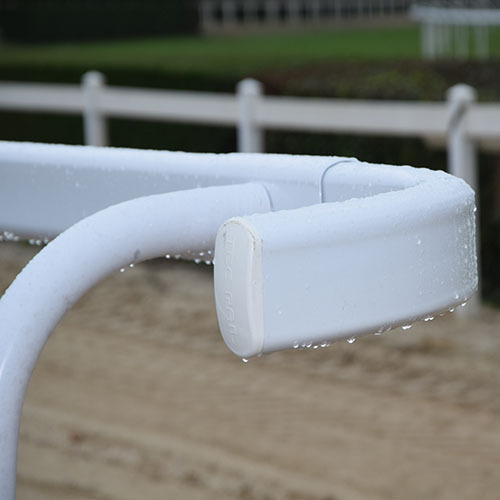 The elasticity of the PVC material will make the rail bends inward and then push backward to minimize the risk of serious injury for both horses and jockeys. When moving the rails in and out is required to save the turf from deterioration, we propose our exclusive easy-to-handle rails. Their lightweight along with their specific ground footings and rail-joiners offer the easiest installation capability and TRUE MOVEABILITY that will make groundsmen work hassle-free.